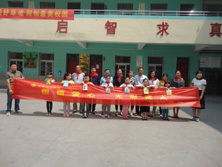 The morning of May 19th, Anhui Hengxin group to carry out my primary school student donation activities. Hanson. To my school donated a number of books, notebooks and other learning supplies, by the enthusiasm of the broad masses of teachers and students welcome. 10 morning, sunny, gentle breeze, leaves swaying, sent bursts of fragrance, refreshing. Anhui Hengxin group of secretary of Party branch of bell lady, and Hanson group Party Committee Mr. He Xiangdong a pedestrian in the Chengguan Street first center school principal Xu, accompanied by from Hefei travel stained, from afar, when a bundle of books moved down from the car, the students as if to smell the fragrance of, as if to get the key which leads to knowledge of the castle, cheered with excitement. In order to welcome and thank our young pioneers guests from afar a red scarf. The handover ceremony, the bell on behalf of Ms. Hanson group delivered a speech, my school principal Liu Changge on behalf of the Hanson glorious elementary school donations, and delivers a speech of thanks. 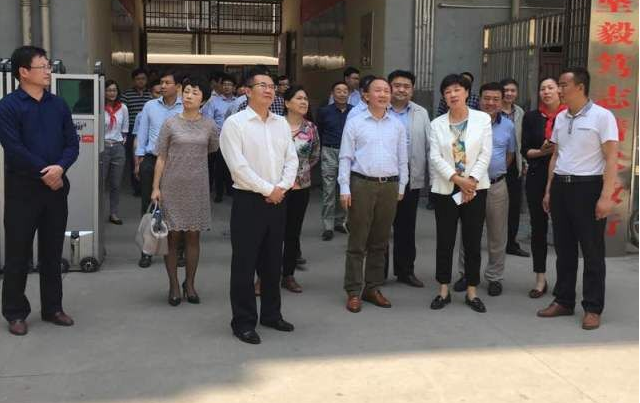 After the handover ceremony, Ms. bell and a pedestrian in the librarian Zhang Liren under the leadership of teachers visited our school library. Gifts of roses, fragrance in hand, the dedication of love, harvest of hope. 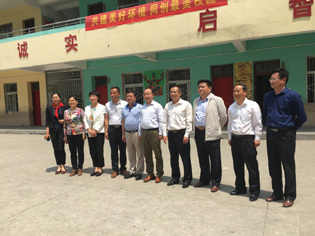 Eleven years ago is the Hanson Group Chairman Zhao Yu Xiu to my school lend a helping hand, help us to build a teaching building, change our teaching environment, Hanson glorious elementary school to flourish today.